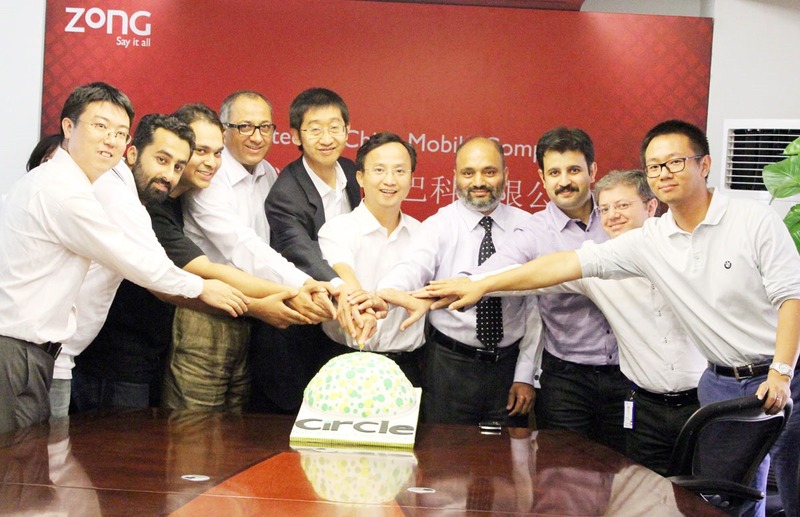 Zong today announced the launch of a youth brand – Circle – with the tagline “Hamesha Together”. Zong claims to be offering the best rates for the youth. Zong said that the tagline “Hamesha Together” reflects the concept of how important it is for youth to be able to connect and stay in touch with their circle of friends, in order to amplify their life experiences. Call and SMS rates are quite competitive. Not the best in some cases (base tariff for off-net, on-net), but off-net and off-net FNF rates are amazing for Circle Club members. Circle bundles are impressive too. Their daily voice bundle is probably the industry best. It offers sufficient voice minutes, SMS and MMS to meet all your communicate doze for a day; that too in just Rs. 5 per day. Brand’s look and feel is exiting and moving. However, its strange – probably coincidental – that Circle is also using Yellow color, which was recently used by Ufone for Uth Pack, its Youth brand. be-hayai or fahashi dikhanay kiliay ad bnatay hn ye baqi package hota e chuttu sa hy. Daily Mobile Internet:——its 4 MB not BM.? Can we only subscribe to voice bundle or all the offers are compulsory? Above all. The Cheta internet bundle is truely amazing! Who other than zong can give you that huge volume of mobile internet! Admin! has Zong Circle replaced M9 because when I try to open M9.COM.PK I land at zongcircle.com.